Morticed, glued and nailed joints. 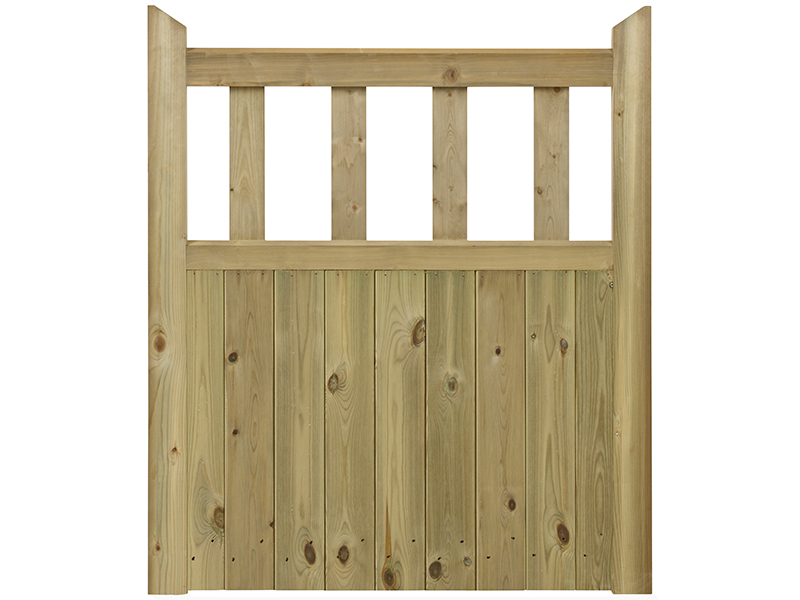 A general size gate that suits most pedestrian applications. Sizes - Height 0.90 metre (3ft) and 1.80 metres (6ft) approx.